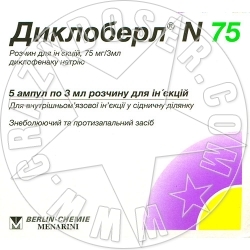 Dicloberbl N 75 (for injection) do not apply for longer than 2 days. The dose is usually 75 mg (1 ampoule) per day, which is injected by deep injection into the upper outer quadrant of the gluteus maximus. 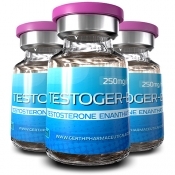 In severe cases, the daily dose can be increased to two 75 mg injections, between which the interval is maintained for several hours (1 injection per each buttock). 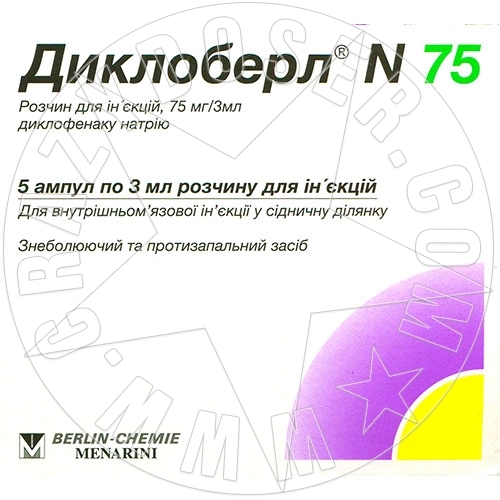 Alternatively, 75 mg of injection can be combined with other dosage forms of Diclobber preparation (eg, tablets or suppositories) to a maximum total daily dose of 150 mg of diclofenac sodium.